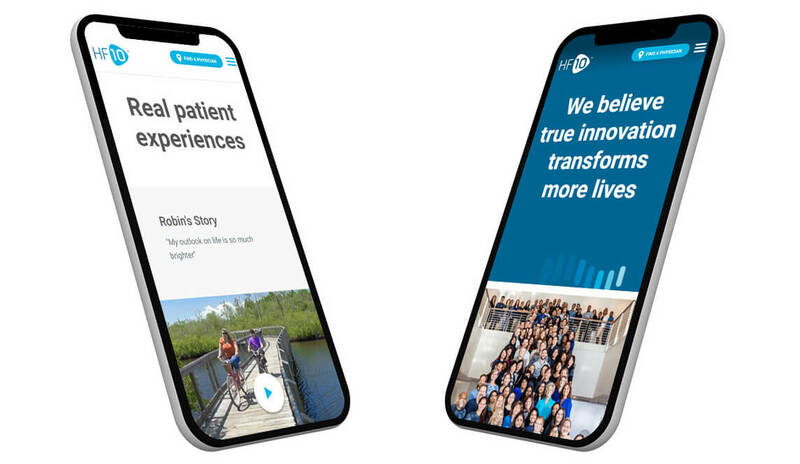 We needed to create a digital experience that did a far better job of moving our audience from “unaware” through to “calling a physician.” First, we conducted persona development, digital ecosystem planning, user journey development, design development and technical development. This journey was long and complex, but working with the detailed research conducted by Nevro we built a user journey that supported this message through to conversion. 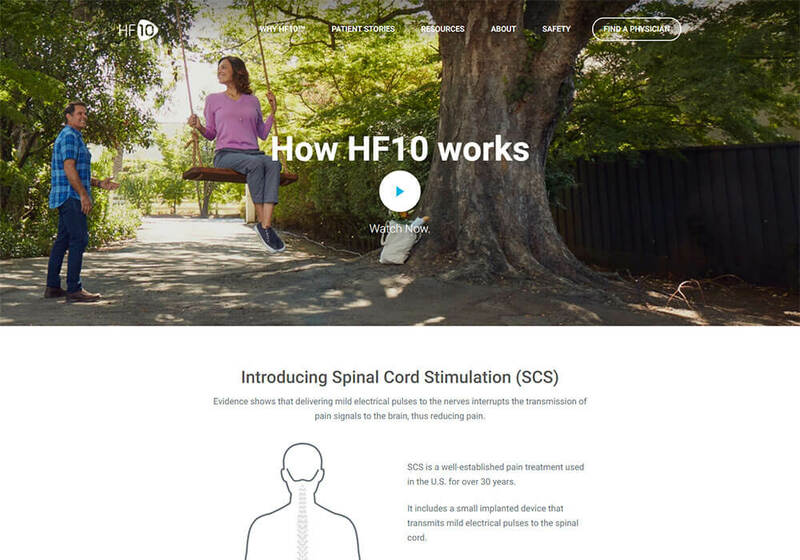 From there, we structured the new website around simplicity to ensure users found the right amount of information, validation and support to feel confident in connecting with an HF10 physician. Knowing our audience’s decision making journey could be months or even years long, it was important that we stay in touch with them over time, nurture our relationship with them and remind them that HF10 is an option. This led to a complete overhaul of the current eCRM strategy. Instead of treating email communication like another ad that would inevitably lead to a feeling of spam, we started communicating the HF10 brand through education. The strategy was to slowly gain our audience’s trust by providing helpful content. 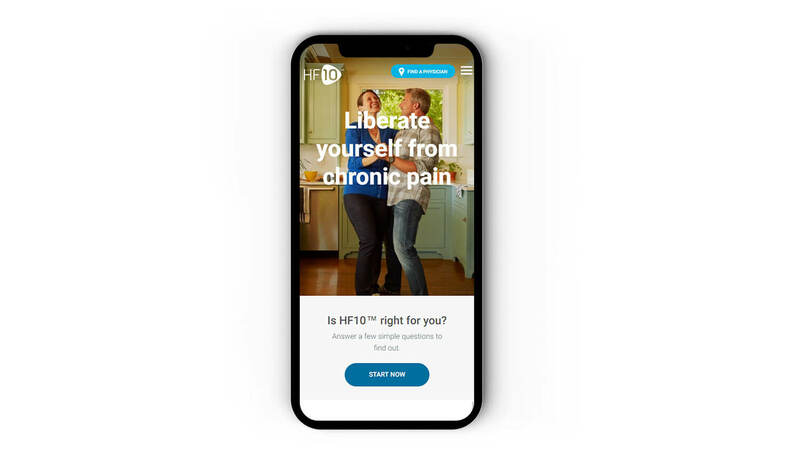 The new website needed to include more than image-based content, we wanted to provide a tool that could help people living with pain. 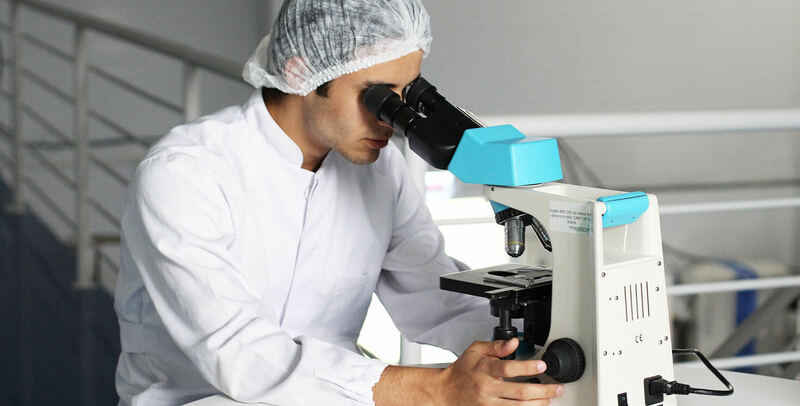 So, we built a Patient Assessment Tool that allows users to answer a series of questions to determine if they are qualified for the treatment. Qualified users then receive quiz results via email. From there, they are directed to our Physician Finder Tool which allows them to search for and contact an HF10 physician in their area. Creating a destination for those looking for information is important, but we also needed an awareness strategy that would help get the word out about HF10. 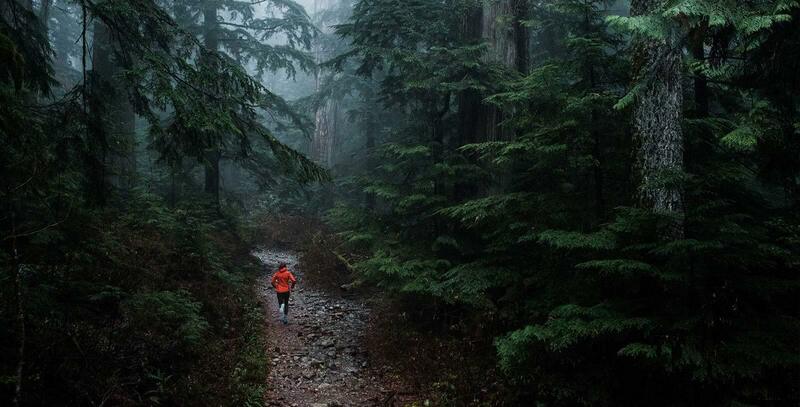 To find that creative edge, we didn’t need to look very far. 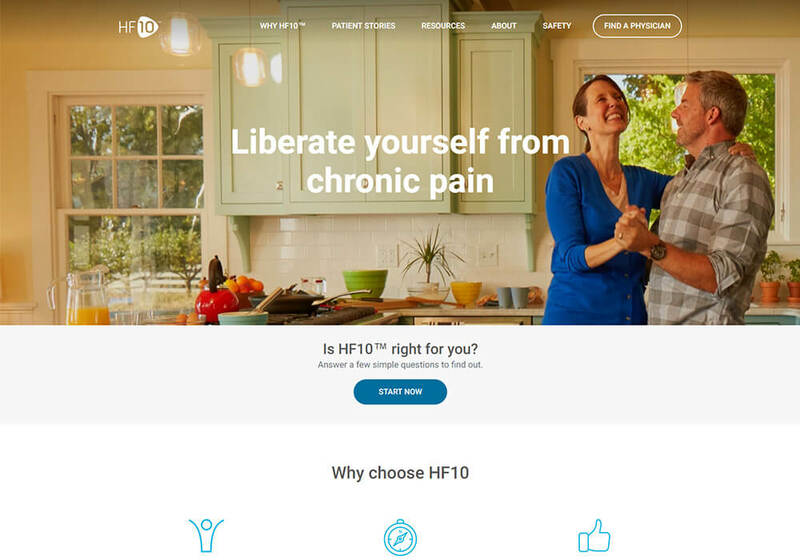 HF10 is about pain relief, so we designed an awareness campaign around the frustration of lingering pain. We used this initial message as a way to get patients to start talking to their paint specialists about HF10. We reached people with a mixed level of awareness of the Nevro brand, spinal stimulation, other treatments, alternative therapies and more through a mix of tactical media channels. Then, we created a messaging strategy and supporting creative to drive users to the new website. Launching a new product requires a lot of moving parts, and that’s especially true when it comes to media. For HF10, we knew we wanted to reach multiple audiences in places all over the world, all with varying degrees of brand knowledge. This led us to a media strategy that includes video, display ads, search and social media. But a good media strategy is also nimble and able to shift when efficiencies present themselves, so we handle all of the media management, optimization and reporting. From design and development to personas and media strategies, Nevro and the HF10 project is a great opportunity for us to show what we’re capable of.